Last week, my husband and I made our way to the International Living History Fair being held in Bruntingthorpe Proving Ground near Lutterworth in Leicestershire. 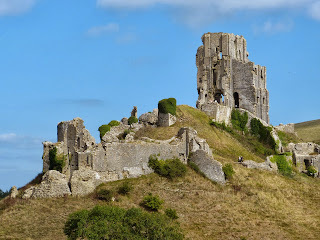 I confess that it was a little tricky to find, being somewhat out of the way, but we knew that we had come to the right place when we spotted people in historical costumes lolling around the car park. Our visit was a reconnaissance mission: we had never been to one of these fairs before and were interested to find out what was there. The answer was obvious even before we walked through the entrance – we had come to a gathering of enthusiasts. 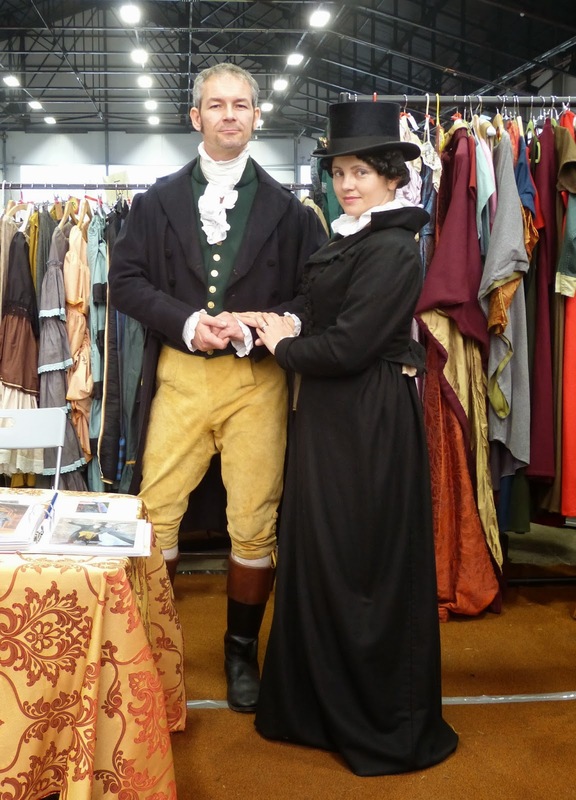 The fair consisted of a wide range of different exhibitors ready to equip the historical re-enactor with anything from a full set of armour to historically correct footwear, from a medieval dress to beautiful hand-made buttons. Some items were ready to be bought and taken home, eg buttons, pockets, books, magazines, jewellery and material, whilst others, eg armour or a Georgian riding habit, had to be commissioned or contact details taken for a later time. The real benefit of the fair was the drawing together of historical experts from lots of different fields. These people were there, not only to sell their wares, but to talk about their areas of expertise. Being a Georgian and Regency enthusiast, I had no intention of buying a suit of armour, but I had a fascinating talk with an armourer who explained how he had replicated pieces of antique armour to go on display at the Royal Armouries. We had an enjoyable afternoon at the fair. I thought that the entrance price was a bit expensive for what was there, but if seen as a ticket to the stallholders’ expertise, it was better value. I would have liked to have seen more Georgian era stalls, but I am a bit narrow minded! Even with the “have a go” archery corner, I don’t think the event was really suitable for children. 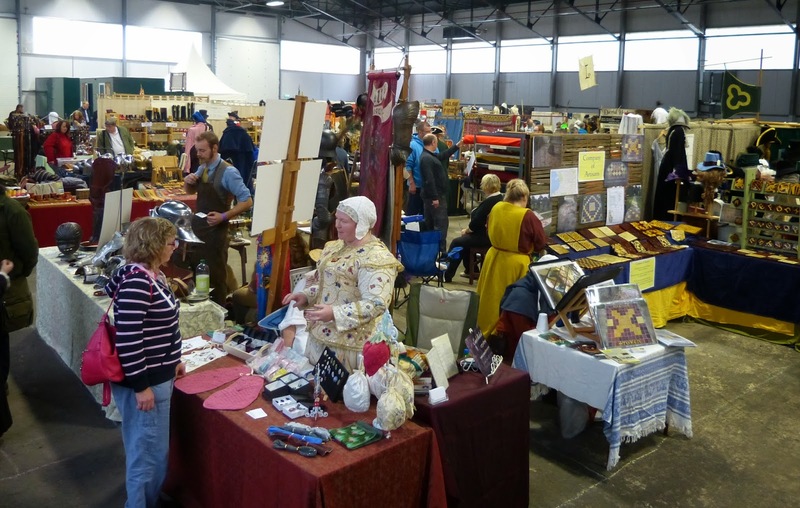 But if you are a historical re-enactor or would like to become one, then the International Living History Fair is a great place to go. For details of the next fair, see the International Living History Fair website. Richard Brinsley Sheridan (30 October 1751 - 7 July 1816) was an Irish playwright and Whig MP. His most famous works include ”The School for Scandal and The Rivals. Here is a selection of quotes from Sheridan's life and works - which is your favourite? 19. 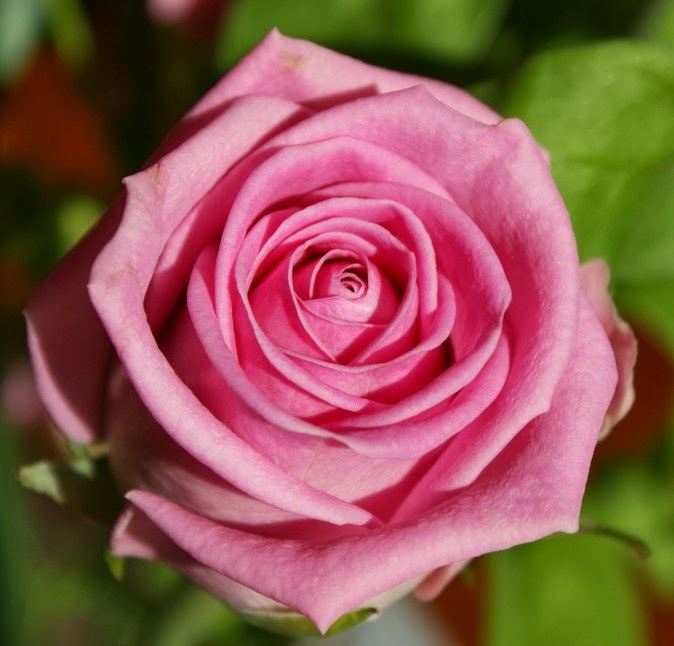 Mrs Candour: “I’ll swear her colour is natural – I have seen it come and go. 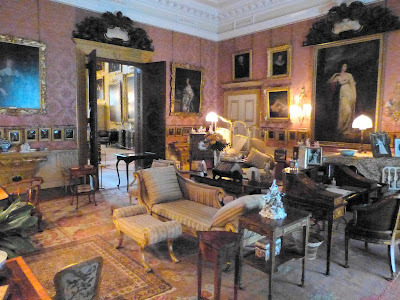 Read about Sheridan's affair with the Duchess of Devonshire's sister, Harriet, Lady Bessborough. With the death of Princess Charlotte, George IV's daughter, in 1817, the prospects for the monarchy were bleak. Although 12 of George III's 15 children were still living, not a single one of them had a legitimate child. The Duke of Sussex's marriage had been declared illegal whilst the Duke of York's was childless. The Duke of Cumberland had married in 1815, but was yet to produce a child. The race was on to provide an heir to the throne. 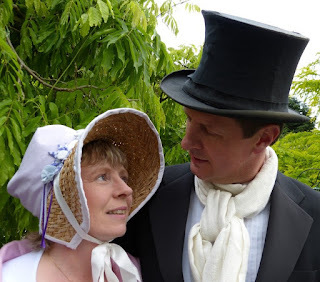 In 1818, the Dukes of Clarence, Kent and Cambridge all got married. 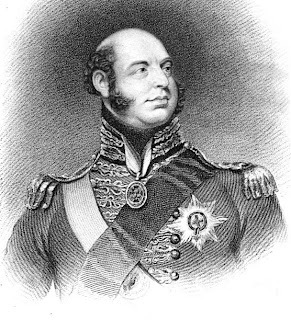 The Duke of Clarence's marriage sadly produced no surviving children, but the Dukes of Cumberland and Cambridge both had sons in 1819 whom they named George. But any child of the Duke of Kent would stand before them in the line for the throne. On 24 May 1819, a daughter was born to the Duke of Kent and his wife, Princess Victoria of Saxe-Coburg-Saalfeld. As a matter of form, the Duke and Duchess of Kent proposed various names to the Regent for him to approve: Victoire or Victoria after her mother, Georgiana after the Regent, Alexandrina after the Tsar and Charlotte and Augusta, after her aunts, or possibly after her grandmother and great grandmother. George chose to be awkward. He announced that he did not like to put his own name before the Tsar’s, but neither did he wish his name to appear after it. He would not contemplate the baby being given the name of his poor dead daughter and declared that Augusta was “too majestic”. The Regent insisted that the christening should be a strictly private affair to be held in the Cupola Room at Kensington Palace on 24 June 1819 at 3pm. The baby's godparents were the Prince Regent, Tsar Alexander, the Dowager Duchess of Coburg (the baby's grandmother) and the Princess Royal, widow of the King of Württemberg. However, only the Prince Regent was at the christening - the others were represented by the Duke of York, Princess Augusta and Princess Mary, Duchess of Gloucester. The only other guests were the Duke of Gloucester, the Duchess of York and Prince Leopold, Princess Charlotte's bereaved husband. When the christening service began, nobody knew what names the baby was to be given. The Archbishop of Canterbury, Charles Manners-Sutton, with the baby in his arms, sought enlightenment from the parents and then the Regent. At length, the Regent declared that the baby was to be called Alexandrina. The Duke of Kent proposed Elizabeth, but the Regent dismissed that suggestion and reluctantly agreed to the baby being given her mother’s name, though he insisted that it had to follow the name of Tsar. 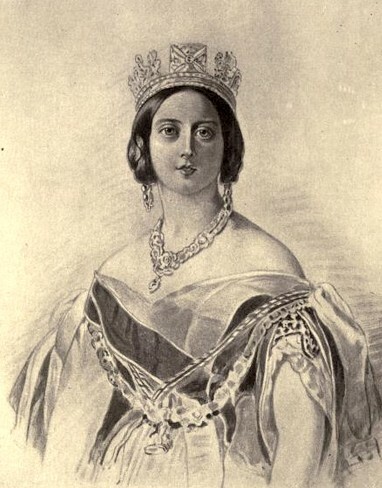 So the baby was named Alexandrina Victoria and as a small girl, she was often called Drina. The Dowager Duchess of Coburg, the Duchess of Kent’s mother, wrote to her daughter that she hoped she was happy with a girl. “The English like Queens,” she wrote. The Duke of Kent was delighted, referring to his daughter as his "pocket Hercules". He proudly showed her off, urging people to “look at her well, for she will be Queen of England.” And he was right. George III was a frequent visitor to my home town of Weymouth. He visited nearly every year between 1789 and 1805. In my presentation, George’s seaside adventure, I talk about the King’s first visit to Weymouth in 1789 and share two of the more unusual things that happened to him on that occasion. Did it really happen like that? Both anecdotes are recorded by Fanny Burney in the Diaries and letters of Madame d'Arblay (1). 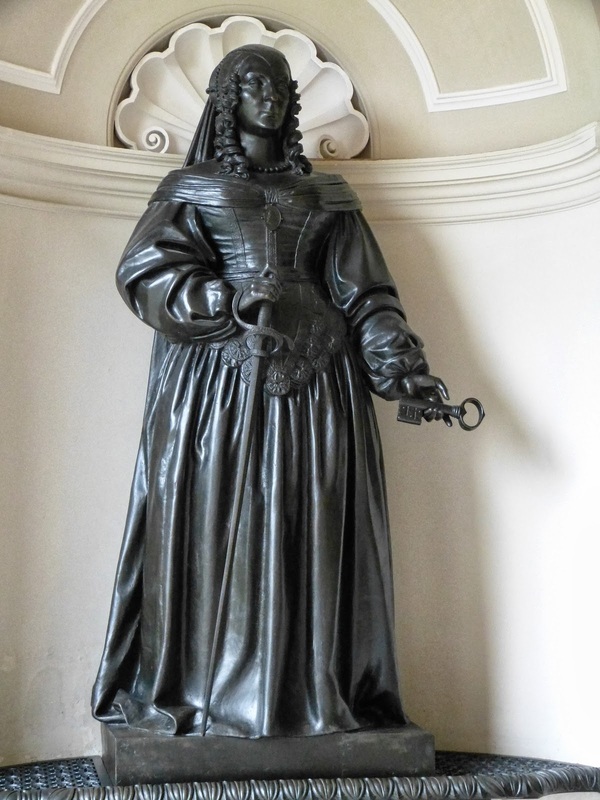 Fanny was second keeper of the robes to Queen Charlotte at the time and accompanied the royal party to Weymouth. Apparently the mayor of Weymouth really did have a wooden leg. Unfortunately, though his excuse for not kneeling was perfectly reasonable, the rest of his party followed his lead, and none of them knelt before the King and Queen! The whole country celebrated the King’s recovery from his incapacitating illness with zeal. Everywhere the King went, crowds of people turned up to see him, frequently launching into the national anthem and cheering His Majesty. Weymouth was no exception. 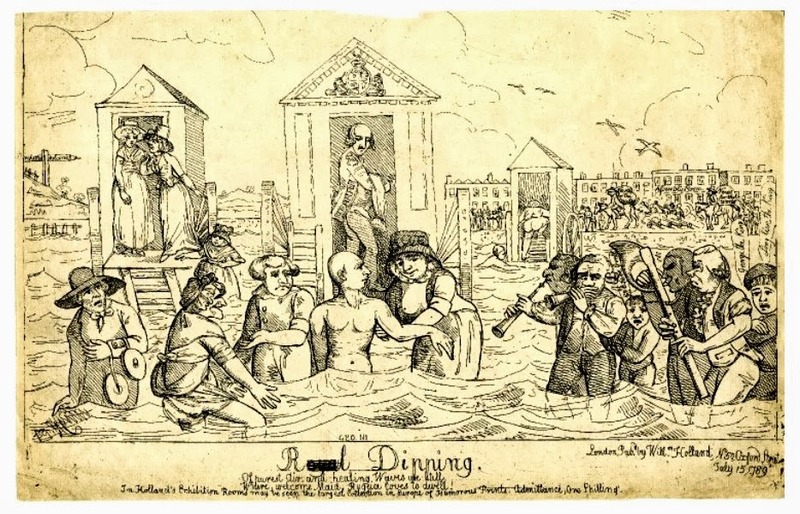 The story of the band playing when George III went for his first dip was famously caricatured in John Nixon’s print. 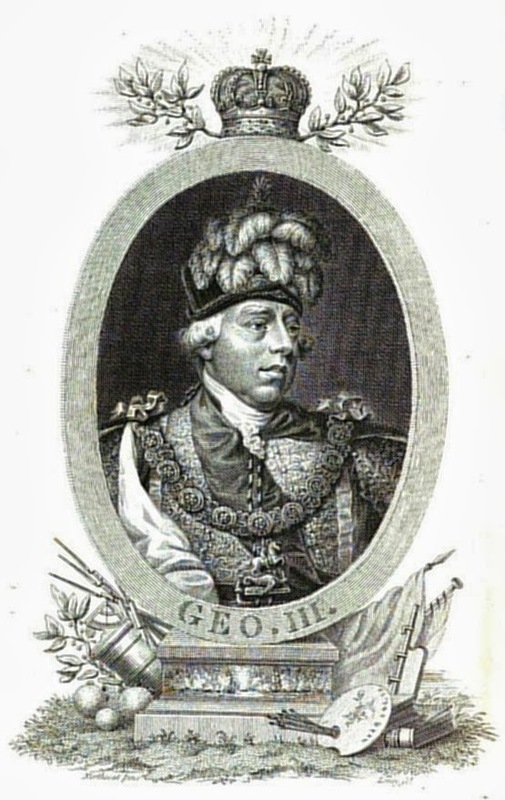 Read more about George III in Weymouth. The three Charlottes – Queen Charlotte, Princess Royal and Princess Charlotte of Wales. 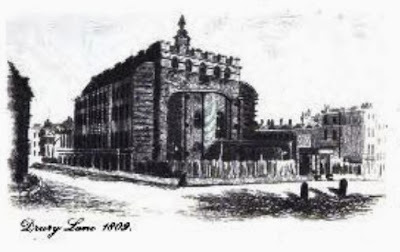 A litter of cupolas – Brighton Pavilion in 1823. 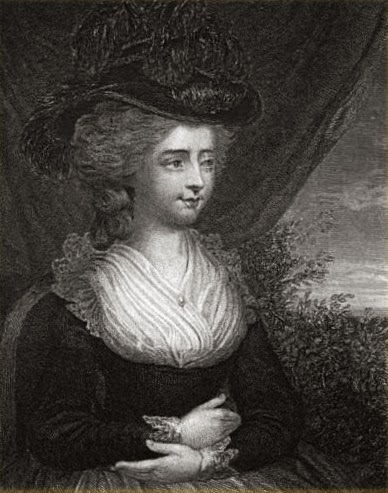 (1) Madame d'Arblay is Fanny Burney's married name. 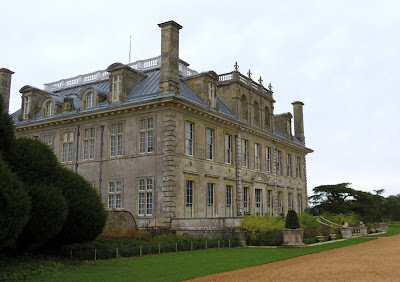 The Kingston Lacy estate is situated near Wimborne in Dorset. 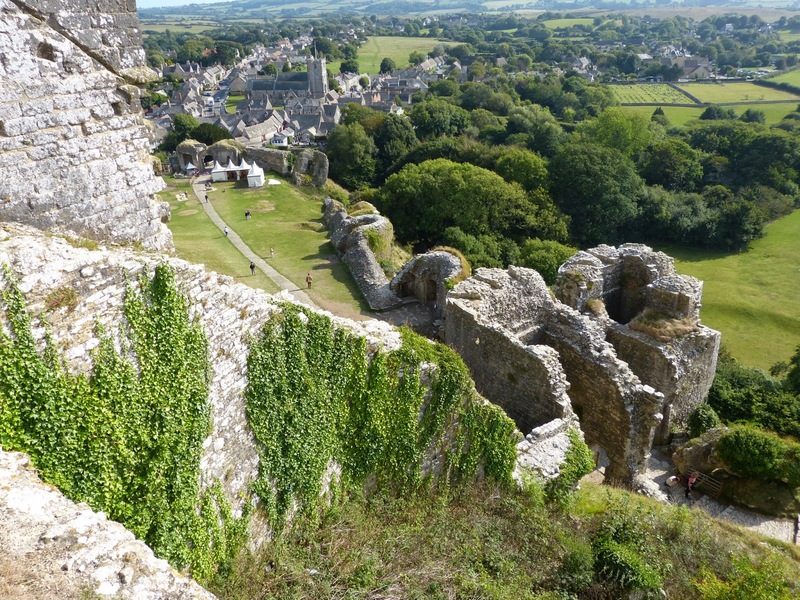 Sir John Bankes, MP and Lord Chief Justice, bought the Isle of Purbeck, Corfe Castle and the Kingston Lacy estate in 1635-6. 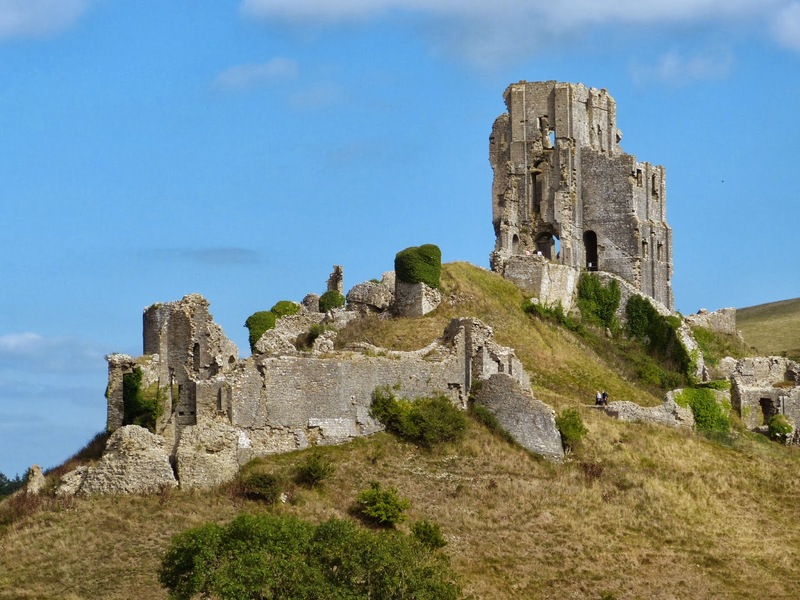 During the Civil War, Sir John’s wife defended the castle for the King, but was defeated in 1646, and Corfe Castle was destroyed by the Parliamentarians. In 1663, Sir John’s son, Sir Ralph Bankes, commissioned the architect Roger Pratt to design a new family seat on the Kingston Lacy estate. The building and furnishing of Kingston House put Sir Ralph seriously into debt and his son was obliged to lease it to the 1st Duke of Ormonde to save money. In 1693, the family was able to return to Kingston Hall and it remained the residence of the Bankes family until 1981 when it was given to the National Trust, as part of a huge bequest which included Corfe Castle and much of the surrounding land. Kingston Lacy was owned by the Bankes family throughout the Georgian and Regency periods. 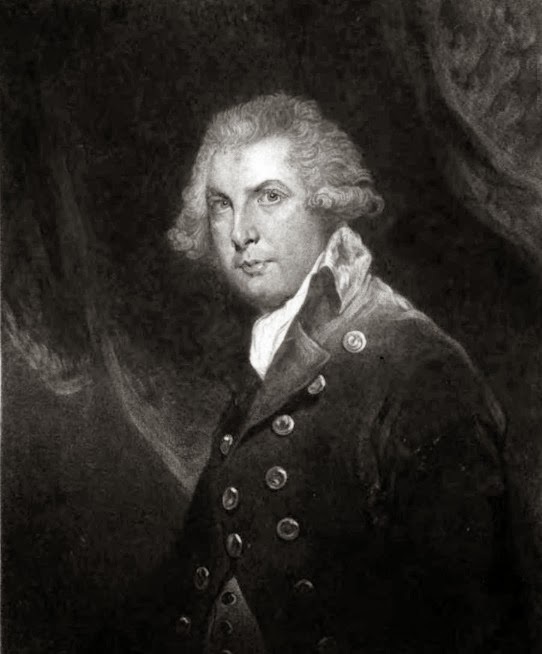 Henry Bankes (1698-1776) inherited from his brother John in 1772 and, although already in his seventies, he reorganised the estate with great determination. Henry Bankes the Younger (1757-1834) was a Tory MP and a trustee of the British Museum. He was married to Frances Woodley, a renowned beauty. His alterations to Kingston House included the creation of a ballroom. William John Bankes (1786-1855) was a friend of Lord Byron and travelled extensively. 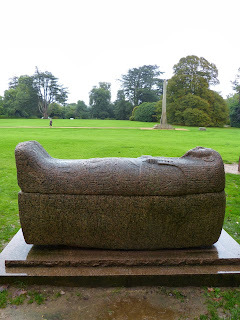 He was an early Egyptologist and his acquisitions included the Philae obelisk. His modifications to Kingston House included the creation of the Spanish room to house his collection of Spanish paintings and a grand marble staircase. 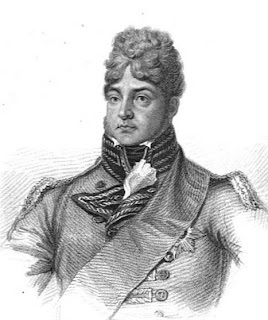 He was forced into exile in 1841 due to accusations of homosexuality. 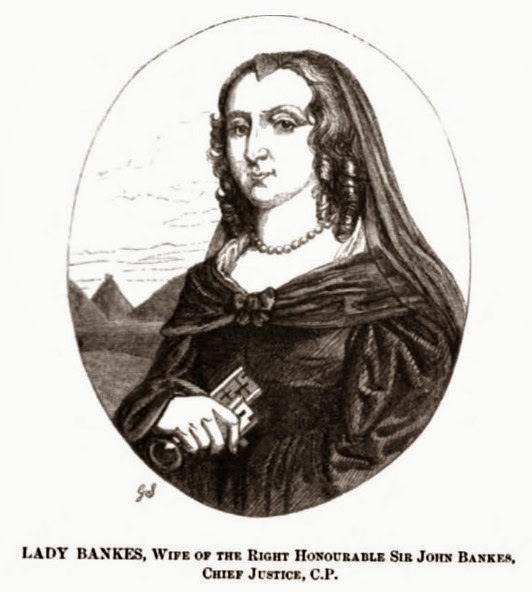 George Bankes (1787-1856) managed the family estates in his brother William’s absence. 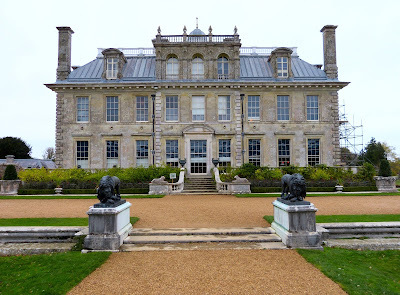 His widowed sister, Anne, Lady Falmouth, lived at Kingston Lacy from 1841 whilst he lived on the family’s Corfe estate. George was married to Georgina Charlotte Nugent, reputedly the illegitimate daughter of Ernest, Duke of Cumberland, by Lady Nugent. He was Tory MP for Cambridge and opposed Catholic emancipation and the reform bill. 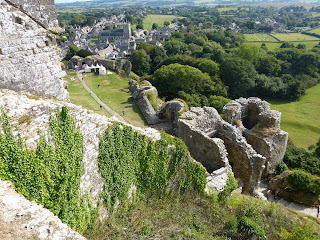 He was mayor of Corfe three times and wrote The Story of Corfe Castle and of Many who have Lived There (1853). What is there to see today? 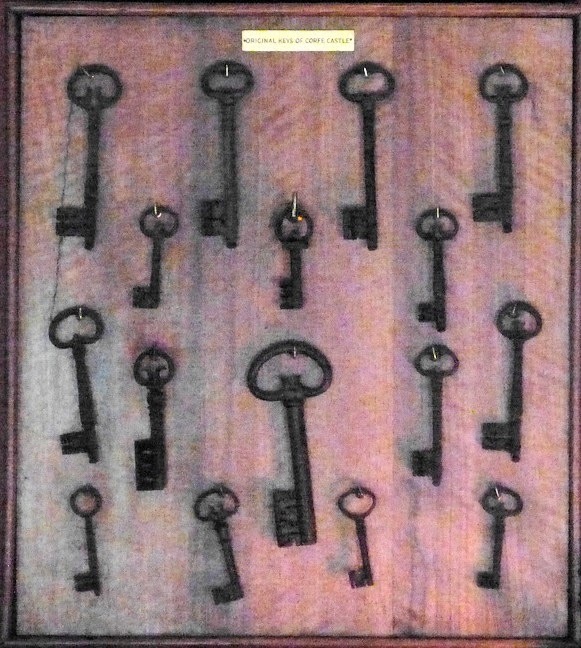 • The original keys of Corfe Castle on display in the library. • The portrait of Frances Woodley by George Romney in the drawing room (what was the ballroom in her day). • The portrait of Charlotte Dee, Lady Nugent, the Duke of Cumberland’s mistress and mother to George Bankes’ wife Georgina, painted by Sir Thomas Lawrence, on display in the drawing room. 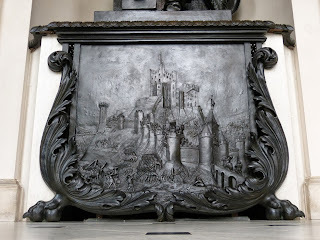 • The bronze sculptures of Sir John and Lady Bankes and Charles I sitting above a relief of the siege of Corfe Castle on the half-landing up the marble staircase. • William Bankes’ Spanish room, displaying his collection of Spanish paintings. 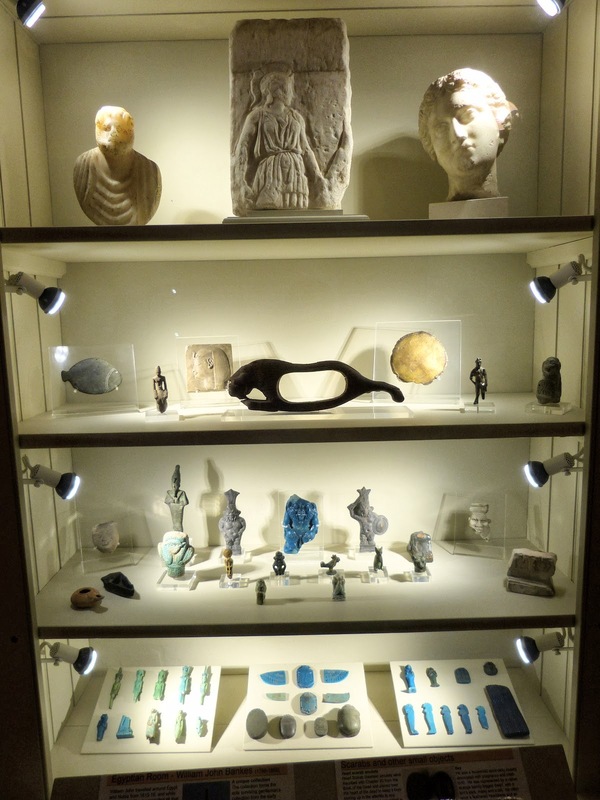 • William Bankes’ Egyptian collection in the billiards room. 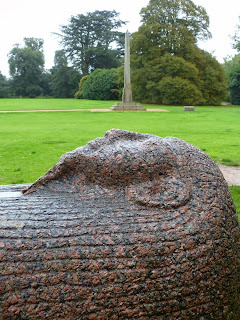 • The Philae obelisk on the south lawn. 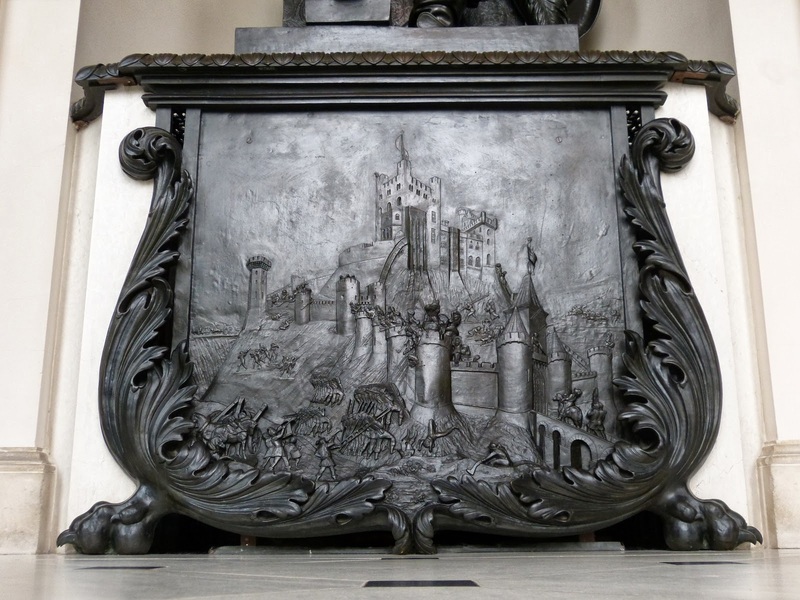 Be sure to read the metal plates around the bottom – they are quite amusing! You can read more about the Philae obelisk here. 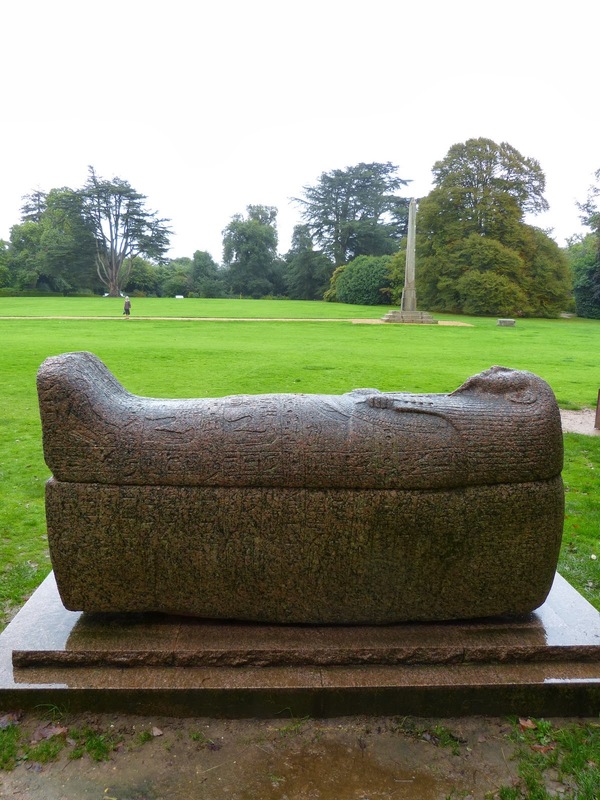 • The sarcophagus on the south lawn. 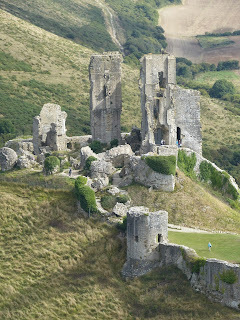 Corfe Castle is in the village of the same name near Wareham in Dorset. Corfe Castle was built for William the Conqueror around 1086 and during the early 1200s it was a favourite fortress of King John. It remained a royal residence until 1572 when Queen Elizabeth I sold it to Sir Christopher Hatton, who later became the Lord Chancellor. 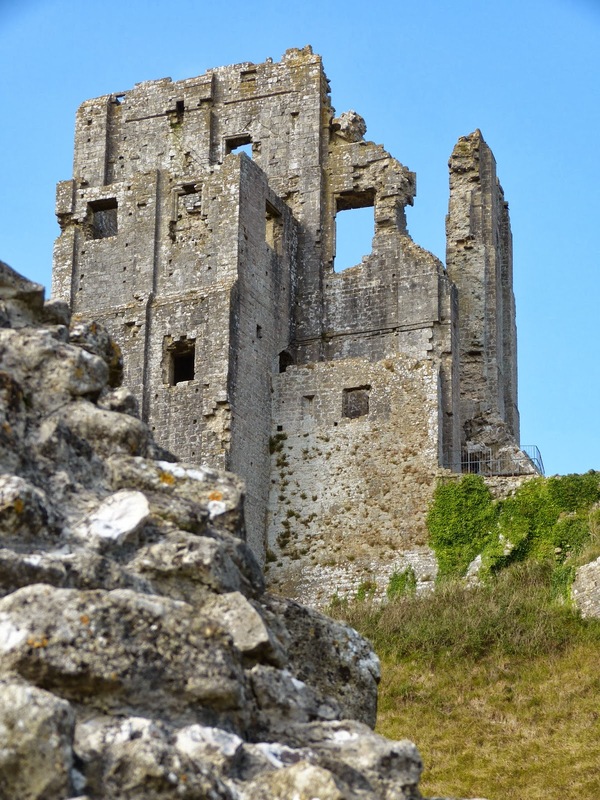 In 1635, the castle was purchased by Sir John Bankes, the Lord Chief Justice, and it was defended by his wife, Lady Bankes, on behalf of the King during the Civil War. 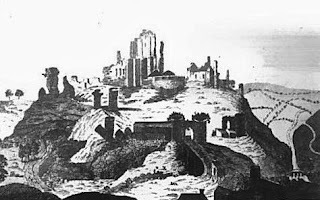 The castle held out against a siege by the Parliamentarians in 1643 and was only defeated during a second siege by the betrayal of one of Lady Bankes’ own officers. In recognition of her bravery, Lady Bankes – “Brave Dame Mary” - was allowed to keep the castle keys (1). Parliament voted for the castle’s demolition and it was destroyed by explosives in 1646, creating the ruin that remains today. The Bankes family built a new home at Kingston Lacy and this was given to the National Trust, along with Corfe Castle, in 1981. The romantic ruin of Corfe Castle was a popular visitor attraction in the Georgian period. It is mentioned in the local guidebooks of the time. 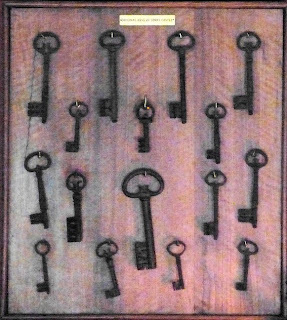 (1) The keys of Corfe Castle are on display at Kingston Lacy. 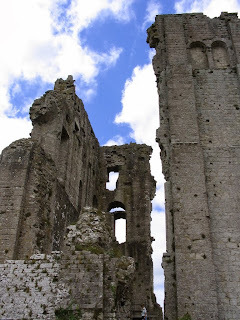 This blog is where Rachel Knowles writes about late Georgian and Regency History. 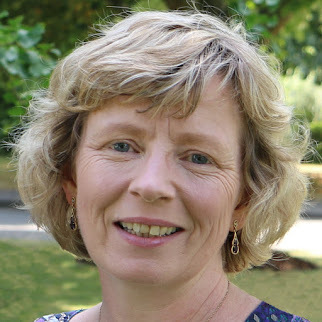 Rachel is the author of historical romance A Perfect Match (2015) and a Regency history book What Regency Women Did For Us (2017) published by Pen & Sword History. When was the London season? When is the Regency era? Having problems searching my blog? © Rachel Knowles. No part of this blog may be reproduced without her express permission. Picture Window theme. Powered by Blogger.